Myrtle Beach and golf have long been synonymous - the natural landscape here, which combines the beach along with various wetlands, is a beautiful, natural canvas for your ultimate Myrtle Beach golf resort rental for your vacation. 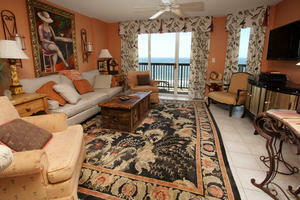 With more than 100 golf courses in Myrtle Beach, there’s a Myrtle Beach golf resort rental. Here are a few that we recommend. Barefoot Resort and Golf: There are four fantastic 18-hole golf courses at this resort: the Fazio Course, the Norman Course, the Love Course and the Dye Course. You will notice the names of the courses are some of the most famous names in golf. 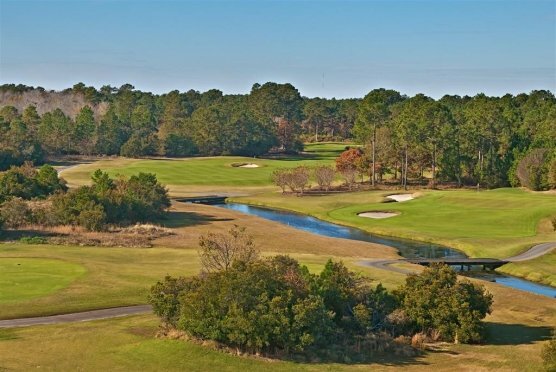 The names at this Myrtle Beach golf resort are representative of each course’s actual designer: Tom Fazio, Greg Norman, Davis Love III, and Pete Dye. The result is 4 world class, yet distinctly different courses. While you’re at Barefoot, there’s also the Dye Clubhouse on site with a fitness center, Myrtle Beach golf resort rentals and fine dining. The Range at Barefoot consists of 30 acres of lighted space for practice, even in the dark. The Range at this resort has its own sports bar and golf shop. Brunswick Plantation: Being a short 30-minute drive from all the excitement in Myrtle Beach has its advantages. For starters you have the exclusivity. Even not being on the beach, the coastal lifestyle is very evident with a fantastic blend of the sun and fun of Myrtle Beach with a casual natural resort atmosphere. With your Myrtle Beach golf resort rental, you will find indoor/outdoor pools, tennis courts, a private sauna and plenty of fitness-related facilities and activities. And, don’t forget the golf! The Magnolia, Azalea and Dogwood courses at Brunswick Plantation form a 27-hole playground for golfers, including the challenge of Scottish links, the beauty of woodlands and open freedom among water and hardwood trees. There’s a practice putting green, chipping green, and a driving range. This is a fantastic resort - before you even reach the Beach! Litchfield Beach & Golf Resort: This Myrtle Beach golf resort is actually located on Pawleys Island, but you’re still just moments from all of the excitement and activities in Myrtle Beach. This Myrtle Beach golf resort rental features a Pool; Play Plaza, with a lazy river, water deck island and two hot tubs, plus the Litchfield Racquet Club - the area’s largest tennis facility. Let’s not forget about the main attraction: Several of "America's 100 Greatest Public Courses", six 4.5-Star courses and Pine Lakes - one of only three 5-Star courses in the entire Southeast - are right at your doorstep. This Myrtle Beach golf resort is one of the best on the south end of Myrtle Beach. Legends Golf Resort: The prevailing theme at this Myrtle Beach golf resort is Scotland, or at least that of a small Scottish village that permeates the golf villas and the central Ailsa Pub (named for a Scottish golf landmark). This carries through to the Myrtle Beach golf resort rentals at Legends too. Naturally the courses on this resort also follow this same Scottish theme: the par 71 Heathland course and the Pete Dye-designed par 72 Moorland course. The Parklands course is a little different from the aforementioned courses as it celebrates the natural terrain of South Carolina. Of course, we can’t neglect the TPC course - a five star course, the home of the PGA Tour's TPC of Myrtle Beach and former site of the SENIOR TOUR Championship.